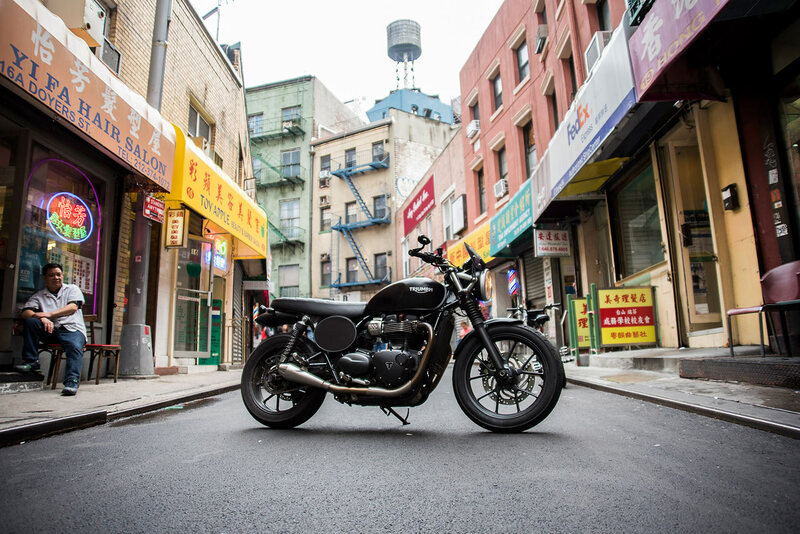 The 42-year-old Yonkers-native’s latest ongoing project, titled ‘Beyond the Bike’, itself embraces Saponara’s relatively recent involvement with the NYC motorcycling community, and in particular the Motofellas collective, in effect "humanizing motorcyclists". 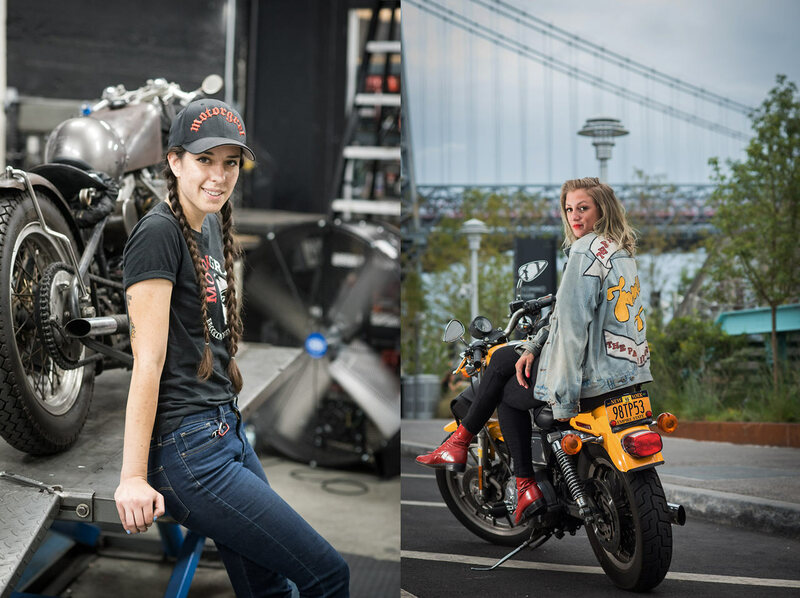 Saponara is working on a concurrent project, shooting portraits and headshots for a reality program currently in production which features women riders. 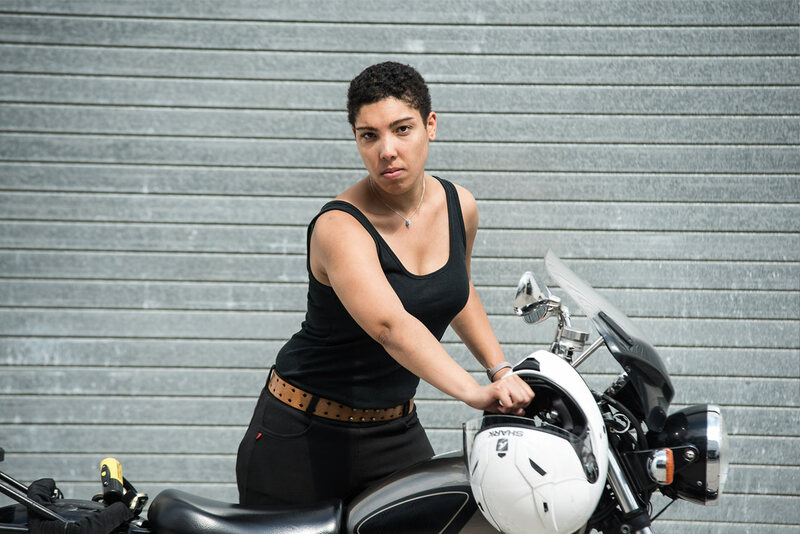 “I started making these portraits and I realized that they’re strong and can work in conjunction with the ‘humanizing’ project,” he said, adding the concept puts a face to motorcyclists in the city. 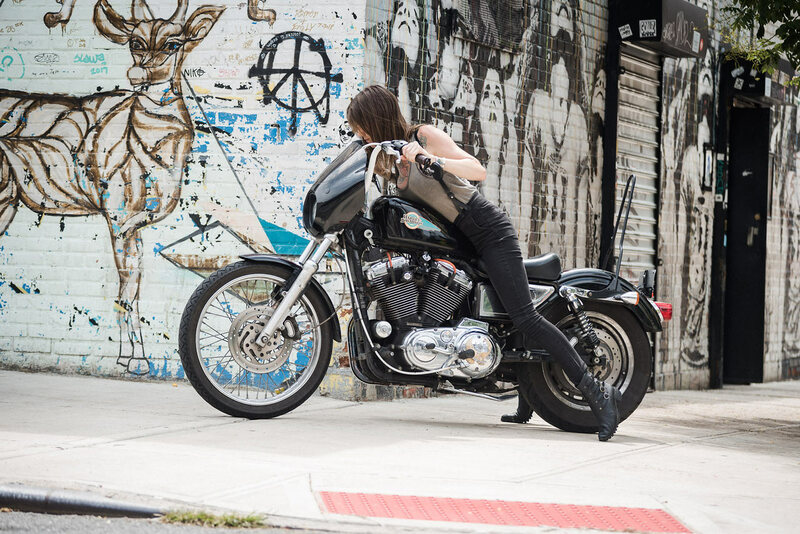 For me, the most interesting thing about motorcycles isn’t necessarily the bikes … it’s the people that ride them. I want to know that story. 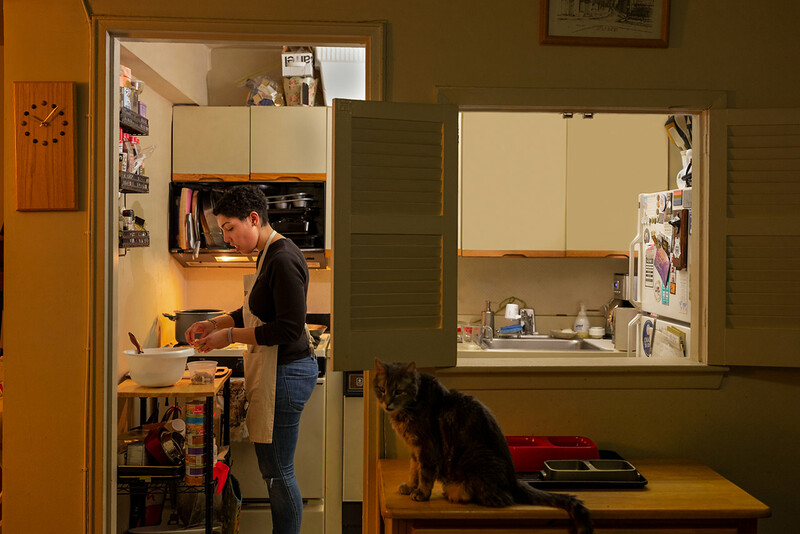 Shooting portraits, whether the subject is familiar or a stranger initially, behooves the photographer to create a connection with that subject, a feeling which is captured in the final image. 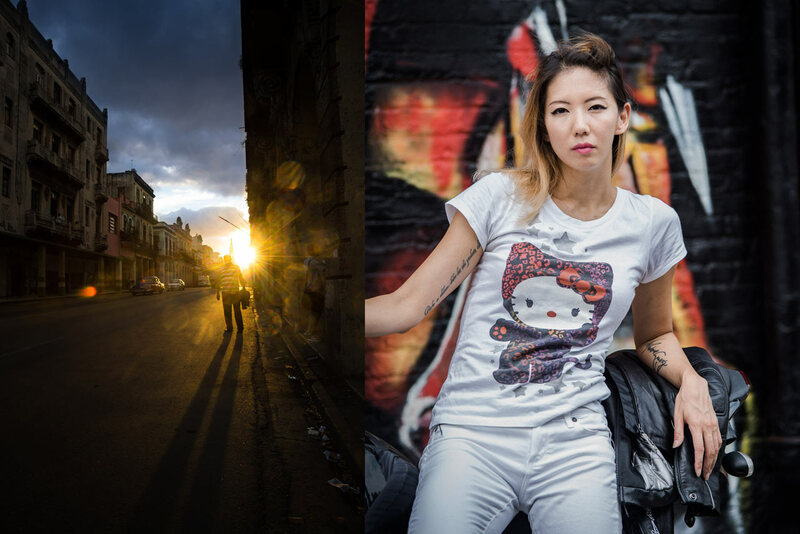 His body of work – a very varied portfolio – includes wedding photography, street photography, commercial/editorial work for the likes of Sony, Intel, HP, Instyle, Oprah and New York Magazine, and book covers. 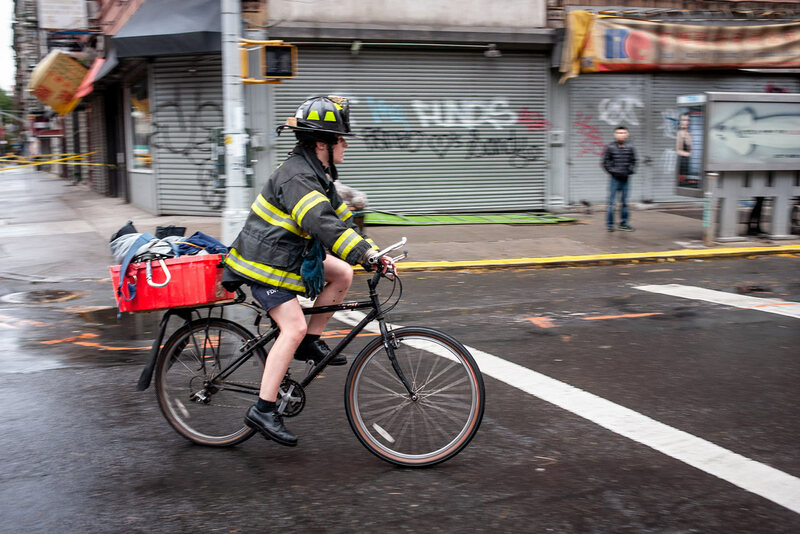 Saponara, who studied at both the School of Visual Arts in New York City and the Institute of European Design in Italy, started riding more than two decades ago. 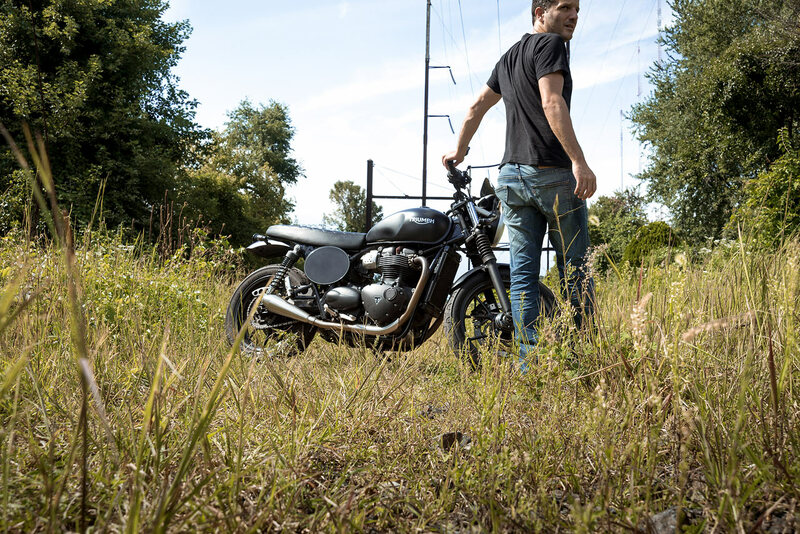 His current ride, a Triumph Street Twin, also caught the attention of cameras, being featured on the British Customs company site, which sells aftermarket parts for Triumph motorcycles. 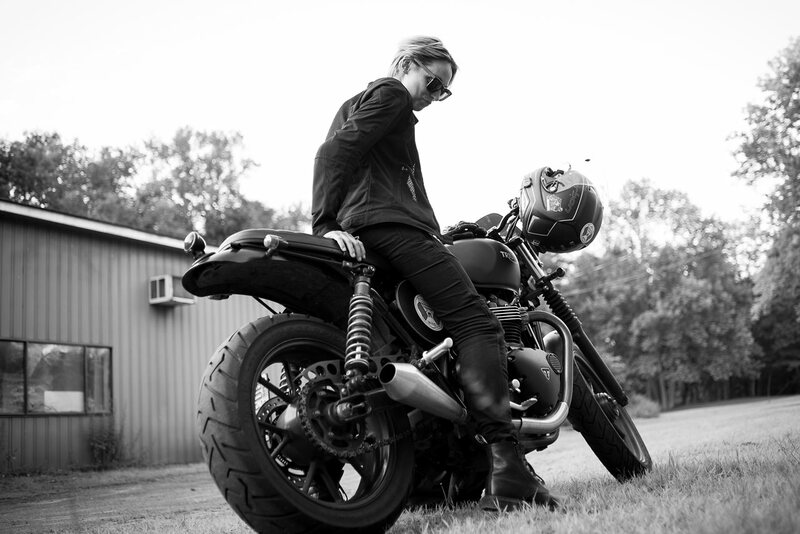 Saponara collaborated with a number of creatives in his Motofellas ‘family’ to produce images and a video for the project. I think if you take a collaborative approach to shooting, make someone a part of the process, not just a subject, then it’ll be successful. Looking back, Saponara says art school gave him an appreciation for what a skilled photographer can achieve with images. “In addition to giving me the contacts to move forward in the industry, (art school) taught me to go beyond (the surface), to go deeper (and) bring something more forward with my images. I remember taking these really bad B&W still life photos in mid-90s while I was taking classes at my local community college, and I’ll never forget my instructor at the time, Karen Marshall, said: ‘Photograph what you know, what you care about’. And that to me meant my family." As to equipment, Saponara doesn’t necessarily favor one format over another for photographers in general. Saponara does lean towards a favorite ‘frame’ format as well: 35mm/2x3/6x9. 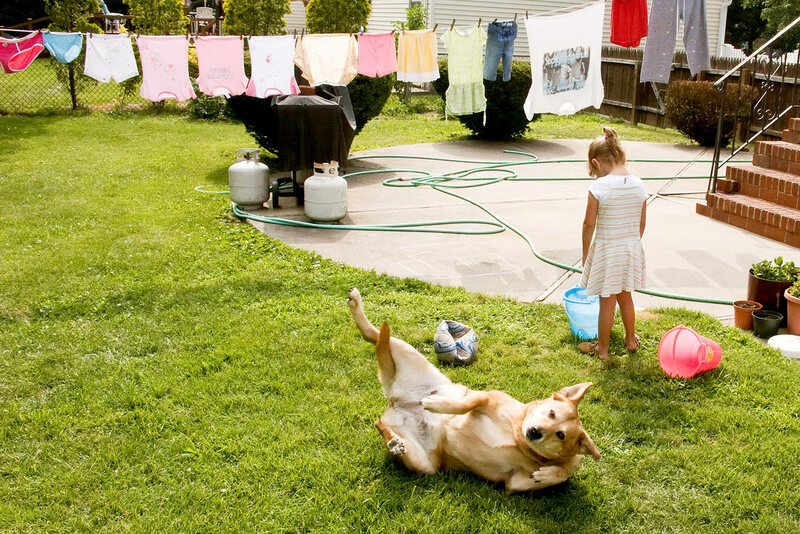 Saponara keeps a foot firmly planted in the fundamentals of photography and the nature of the skill as an artform. To him that means having images being seen in a tangible, tactile format ... something that’s become increasingly more difficult in an industry where digital images are more often shown on screens or at reduced size in social media formats. Never stop seeing and shoot all the time – don’t worry about how many likes or what audience the photograph is for. The most important critic is you. For Saponara, it also means limiting his post production on images, any edits which radically alter the ‘reality’ of his photos. Speaking to those who may just be starting out as photographers in a world taken over by digital technology, Saponara does have some advice in terms of maintaining the purity of photography as both an artform, and, from a photojournalistic sense, an accurate portrayal of life. You can see more of Saponara’s work at johnsaponara.com or on his Instagrams: @jsapfoto and @streettwinnyc. 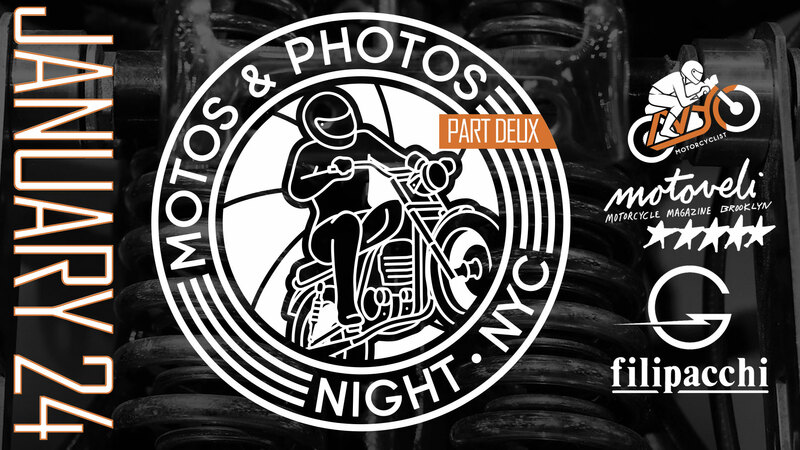 Saponara was one of three featured speakers appearing at Motos and Photos Night : NYC, Jan. 24 at Filipacchi.